Product Marketing is a function so interconnected with multiple departments that, from company to company, it can even report into different teams altogether. Product Marketing - as its name indicates - is closely connected with both the Product and Marketing organizations. Factors like industry, company culture, and the specific leaders in the organization can play a role in where and how the team is structured. Where is the right fit and why? I turned to Marketing, Product, and C-level executives to get their take. Overwhelmingly, I heard that Product Marketing should live in the Marketing department. This came from product marketers, marketing leaders, and product leaders alike. One of the key reasons: focus and alignment of the Marketing team’s goals. The skills and day-to-day of a Product Marketer are much more aligned with the skills and day-to-day of the Marketing team. 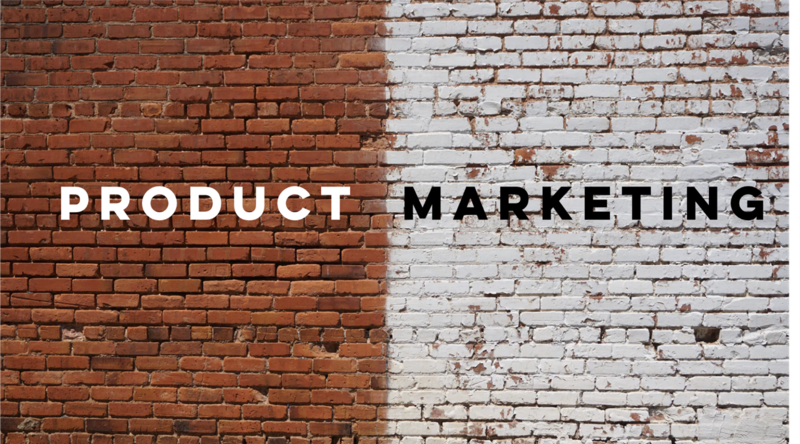 While Product teams are responsible for building products, marketers are responsible for marketing them -- whether you’re in content marketing, PR, demand gen, or product marketing. There are a lot of shared inputs from both sides of the fence - e.g., market research and customer insights - but they are used to fuel different activities. By living in the Marketing org, Product Marketing also becomes a critical bridge to the Product org. Then Why Does It Sometimes Report Into Product? Only a few of the leaders I spoke with said Product Marketing should roll up into the Product organization. I’ve seen this myself in a number of organizations - it’s often a result of the leadership available (e.g., Product leader who has led Product Marketing in the past). Another key factor can be how technical the Product Marketing function is - in highly technical industries selling to a sophisticated audience, the skills necessary for that PMM role can align more with the R&D organization. The majority of folks who said Product Marketing should live in Product cited some of the same reasons as those who chose Marketing: goals and communication. Firstly, which output of Product Marketing is most important for the company - product launch campaigns or input for product development? Who are the main “customers” of the Product Marketing team: the rest of the Product department or the rest of Marketing and/or Sales? Finally, the question of alignment and communication can also be a reason for Product Marketing to report into the Product organization. Of course, it’s not a simple choice, and the needs of the specific organization based on its industry or stage can influence where Product Marketing best fits. Should It Be Its Own Department? Product Marketing can be such a strategic and interconnected role that it may warrant being its own department reporting up into the CEO or COO. What’s clear across these responses is that it’s key to evaluate a company’s goals, priorities, and cross-team communication plans to determine where Product Marketing should live. Ideally, there will be close alignment with both the Marketing and Product organizations, but a company’s current priorities can inform where the Product Marketing function should focus. Are launch campaigns, messaging docs, and sales materials most important? Marketing is likely the right place. Or, is it more important for Product Marketing to be part of product decisions and providing the Product org with customer insights? Finally, it’s important to identify the responsibilities and asks of the product marketer’s counterparts in either org - how will they work with product managers and what will each role be responsible for, say, in product training? How will they work with marketing managers and what will each role be responsible for, say, in product launches? If those roles are not defined, the product marketer themselves has the opportunity to outline how best these three teams - Product, Marketing, and Product Marketing - can best work together.